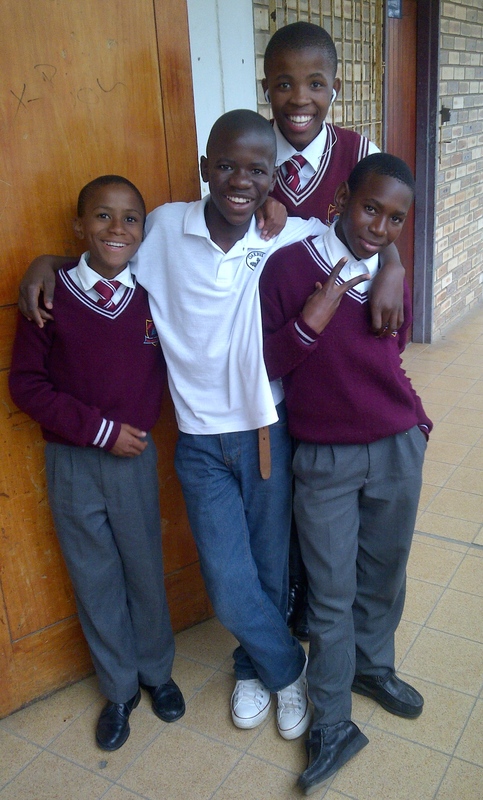 Meet the 2 newest members of the Bulele mentorship group at Percy Mdala High School. 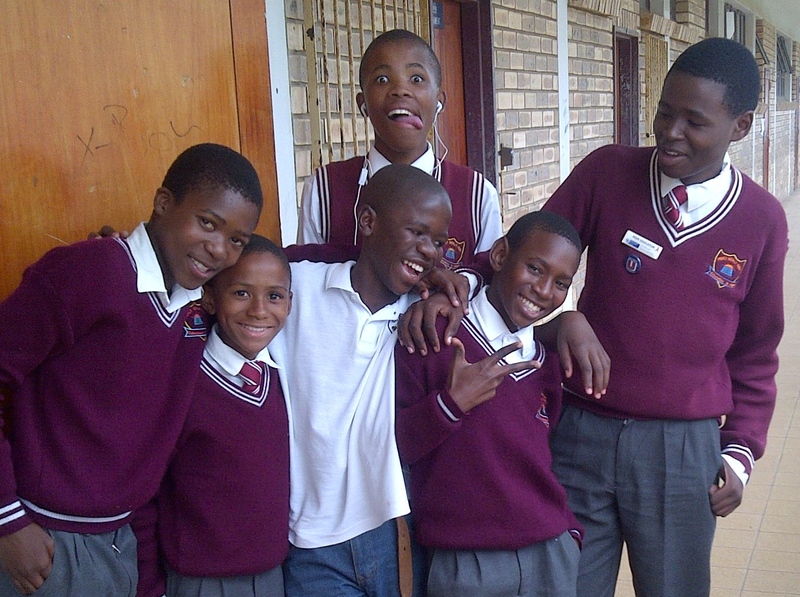 Siyambonga (far left) and Sonwa (far right) are both in grade 8 and were recently invited to join based on the priority they place on education and doing well at school. L to R: Kweila, Siyambonga, Ntokozo, Siyathemba, Sonwa, Siyabonga. Six of the eight members of the Bulele mentorship group which was established 2 years ago, ranging in age from 13 to 17 (grades 8 to 11). Luyolo was absent due to his participation in a writing competition and Onke was attending a public speaking competition. Janet’s newest student is Oyama (far left) who is 17 years old and repeating grade 9. Oyama’s father died a number of years ago and his mother died 1 year ago. Her death required that he move to Knysna to live with his Aunt. 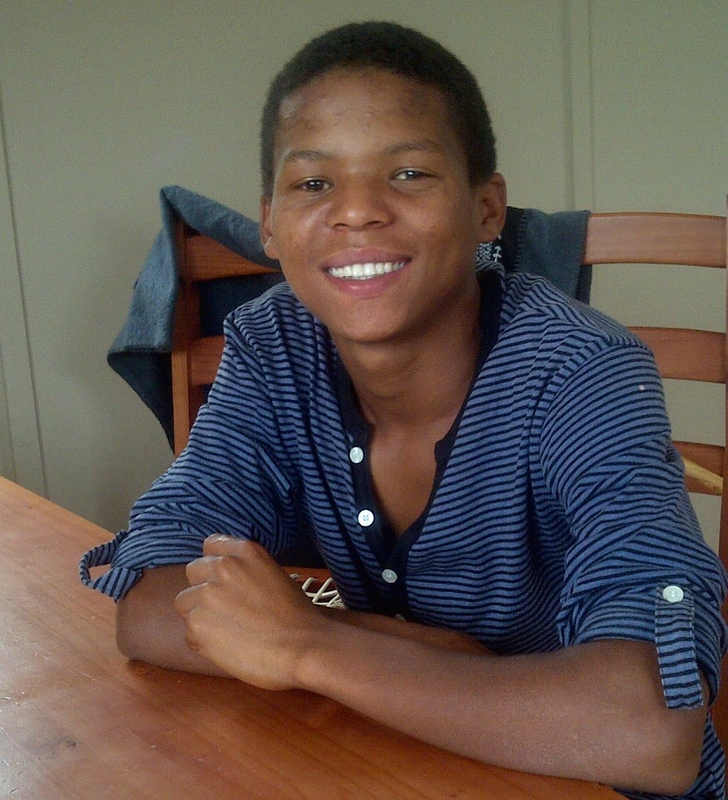 Oyama’s older brother, Wanga, commenced a computer science degree in February 2015 at the University of the Western Cape and is a very positive role model to Oyama. Jim started mentoring Robin 10 days ago after being introduced to him by his older brother, Rieced, who Jim met 1 year ago. Robin graduated high school in December 2014 with a Bachelor’s Certificate, thereby qualifying him for acceptance into university degree programmes. His interests include becoming a high school teacher and he plans to commence university in January 2016. Robin’s home situation is challenging in a number of ways, which includes an extreme shortage of food. It is a very difficult situation for him and his 2 younger sisters and largely explains his decision to take a gap year and seek temporary employment. Robin & Jim will be working closely to make university a reality for this fine young man. 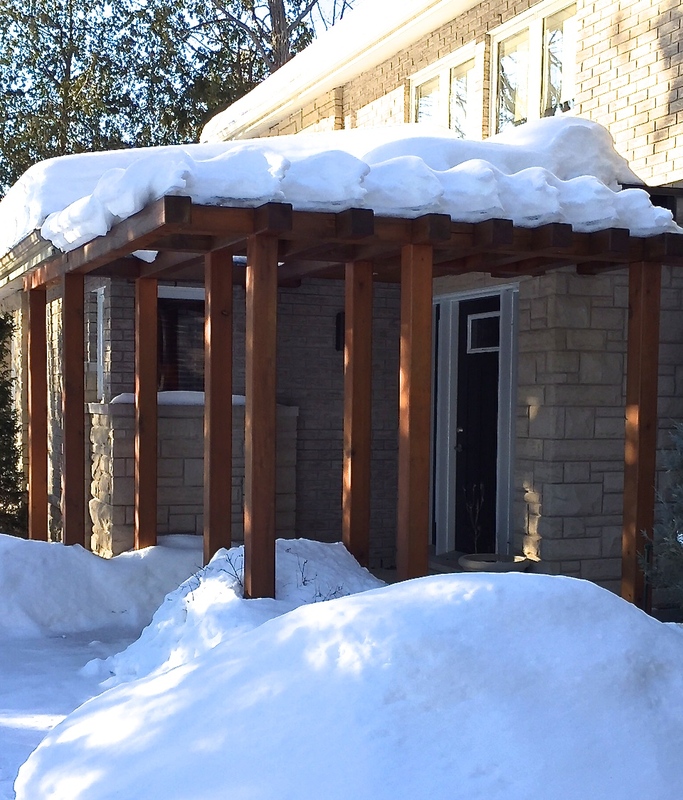 Afternoon sun filtering through the trees around Jim & Janet’s house in Canada, February 28, 2015. Thank you to our neighbours Sharon and Lincoln who submitted this photo. Now you know why we leave Canada during the Canadian winter! This entry was posted in Education, Living Conditions, Mentorship by Janet & Jim. Bookmark the permalink.